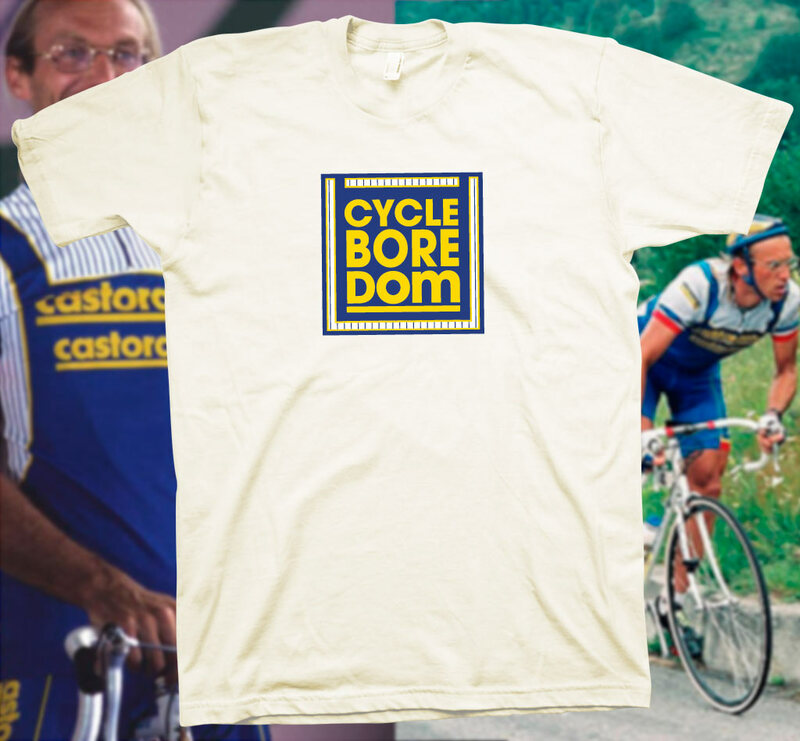 DOPINGSTOUR STARS T-SHIRT: Castorama – The Ugliest of All? You’d be hard pressed to find a list of the worst kits of all time that doesn’t have Castorama’s breathtaking abomination ensconced at the top spot. 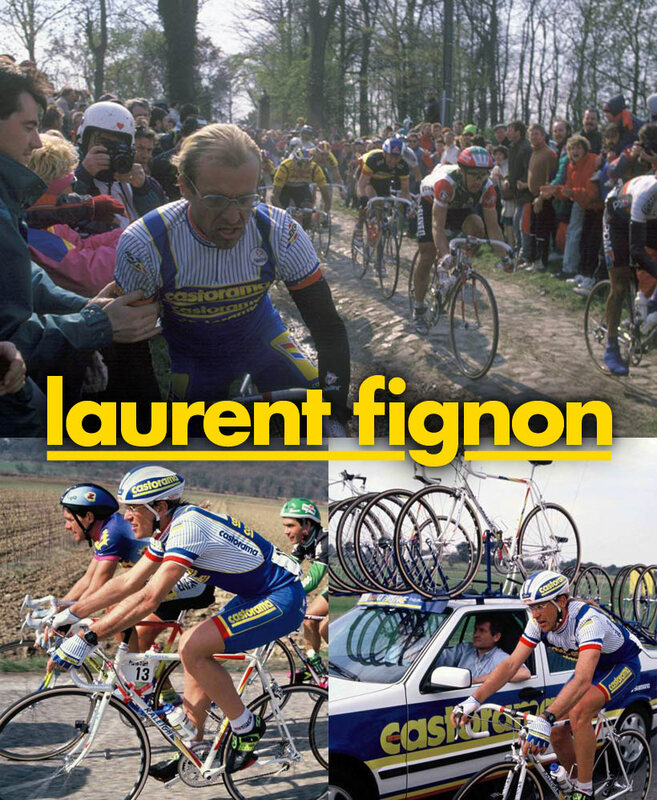 According to Laurent ‘Le Professeur’ Fignon this was the collaborative effort of both he and his directeur sportif Cyrille Guimard. While I see the transformative genius behind the work, there had to be someone that thought it was a bad idea. 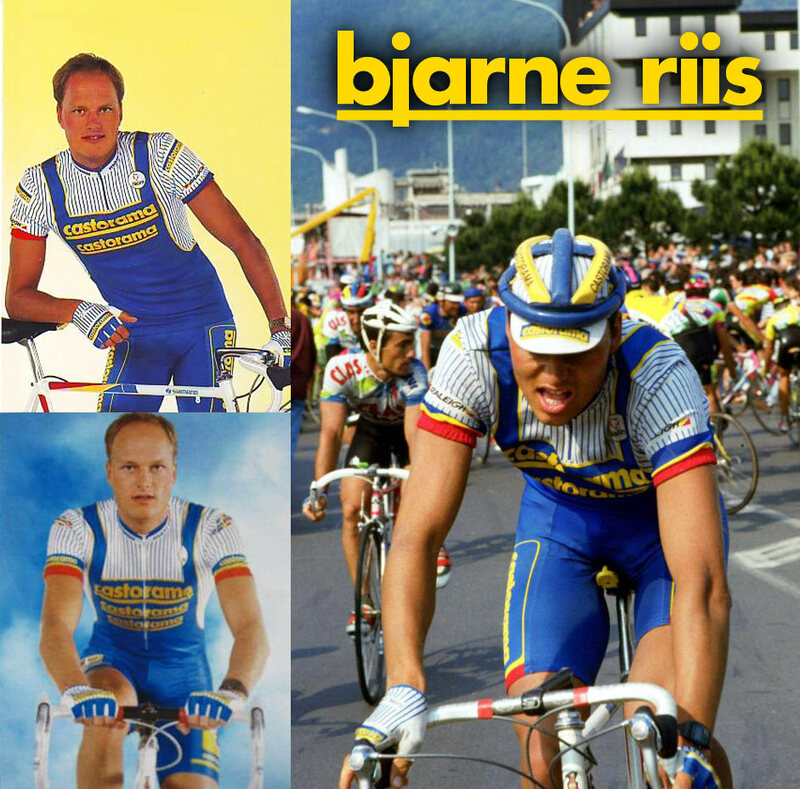 But as Fignon revealed in his autobiography, he was proud of it. So I’m guessing that if you’re trying to keep your job on the team, you don’t cross épées w/ the star and the directeur. It should be noted, however, that Laurent also had a hand in the design of the fabulous and legendary Système U kit. That, in and of itself, should absolve the bespectacled Frenchman of his impending detestable creation. You decide. Ahhh, Mr. Future 60% Percent. Before his infamous blood-boosted reign at Gewiss-Ballan and Team Telekom, he spent a few formative years at Castorama as Fignon’s faithful strongman (’89-’91). 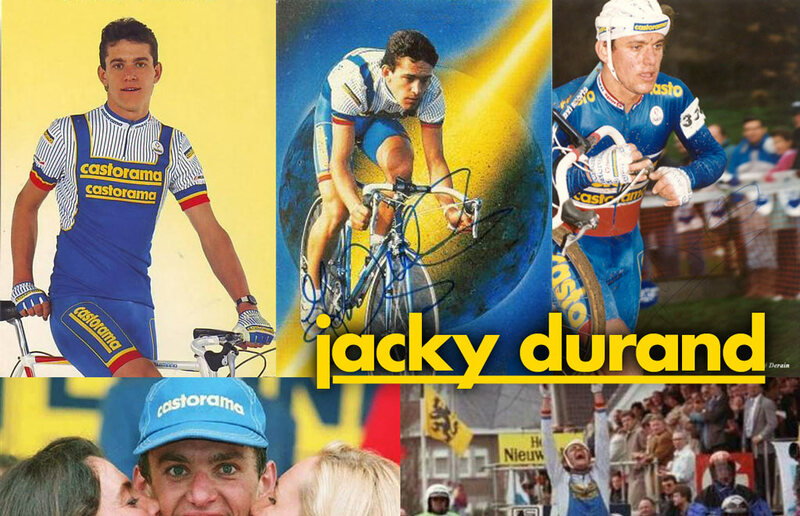 The masterful breakaway artist, Dudu gave Castorama their biggest win, bar none. Winning the ’92 Ronde Van Vlaadaren in his traditional “Tete de la Course” style solidified him as a naturalized Belgian. But, Jacky also donned the infamous doo-rag. For proper name-referencing Frenchnicity, we’ll call it a Du-rag. The Du-Rag tickles the taint between pro and, well, not. But, it’s Jacky, so we overlooked it. Our leniency may be in part that his usage corresponded with the only human being capable of turning the hated head wrap into a PRO force for good: Marco ‘Il Pirata’ Pantani. And that was only because he was a pirate. Perhaps the most visually egregious of all the Castorma suspects is Laurent Brochard (’92-94). Before he became the ’07 road champ, or embroiled in the Festina affair, he and his sentient Euro-mullet posed for THAT shot. ‘Nuff said. Definitely won’t put a dent in your Tour-winning réputation. Image credits: Cyclingnews, CyclingArchives, Gentside, Velopaint, and Cyclingnews again.